It’s game day in Carolina and don’t you dare show up without the right gear! 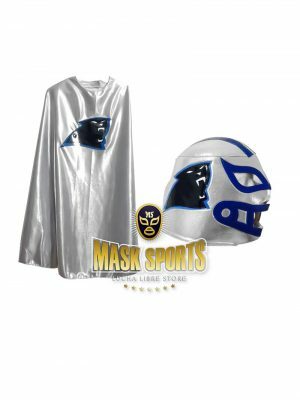 The Carolina Panthers count on their 12th man, and you’ll look the part with a team jersey and this CAROLINA PANTHERS Adult Mask & Cape combo. After all, you are a true football fan! 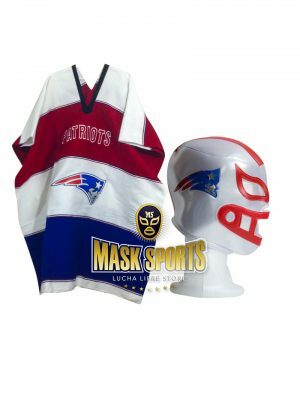 Support your favorite team with the amazing Mask & Cape Combo! 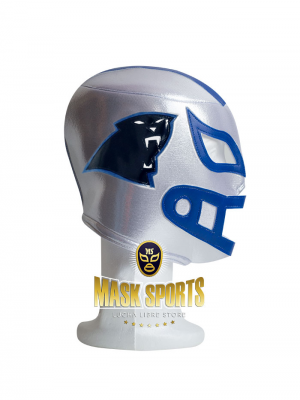 NFL Carolina Panthers Fan Mask. Materials and stitching are high quality. Laces back for proper & comfortable fitting. NFL Carolina Panthers Fan Cape. Cape made of shinny polyester. Velcrom in front for proper & comfortable fitting. It’s game day in Chicago and don’t you dare show up without the right gear! 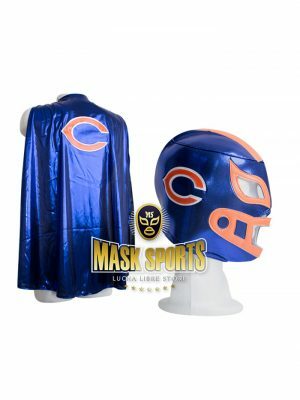 The Chicago Bears count on their 12th man, and you’ll look the part with a team jersey and this CHICAGO BEARS Adult Mask & Cape combo. After all, you are a true football fan! It’s game day in Cincinnati and don’t you dare show up without the right gear! 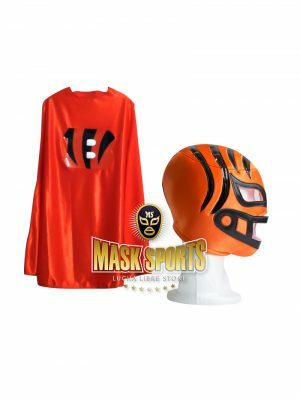 The Cinccinati Bengals count on their 12th man, and you’ll look the part with a team jersey and this CINCINNATI BENGALS Adult Mask & Cape combo. After all, you are a true football fan! NFL Cincinnati Bengals Fan Cape. It’s game day in Dallas and don’t you dare show up without the right gear! 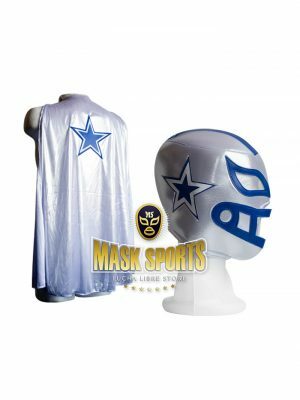 The Dallas Cowboys count on their 12th man, and you’ll look the part with a team jersey and this DALLAS COWBOYS Adult Mask & Cape combo. After all, you are a true football fan! NFL Dallas Cowboys Fan Mask. NFL Dallas Cowboys Fan Cape. 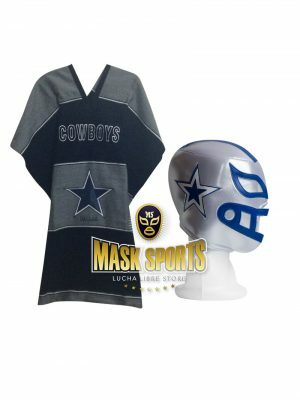 Lucha Libre DALLAS COWBOYS Adult Sweatshirt Hoodie Poncho & mask combo are excellent for sporting events, go to the stadium with your wrestler masks, costume parties, wedding favors, children’s parties, halloween costumes and overall wholesome FUN! Width (Side to Side) 38″. It’s game day in Denver and don’t you dare show up without the right gear! 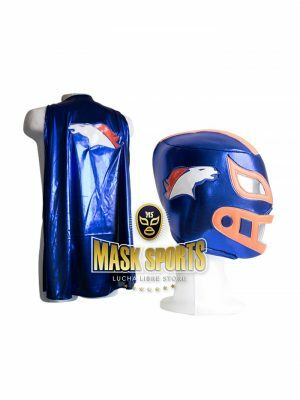 The Denver Broncos count on their 12th man, and you’ll look the part with a team jersey and this DENVER BRONCOS Adult Mask & Cape. After all, you are a true football fan! NFL Denver Broncos Fan Mask. NFL Denver Broncos Fan Cape. 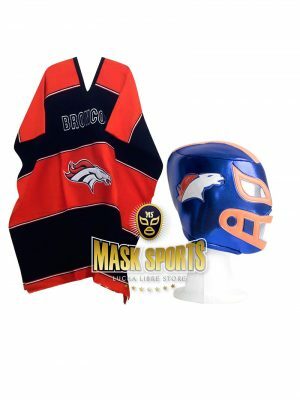 Lucha Libre ponchos and masks are excellent for sporting events, go to the stadium with your wrestler masks, costume parties, wedding favors, children’s parties, halloween costumes and overall wholesome FUN! It’s game day in Green Bay and don’t you dare show up without the right gear! 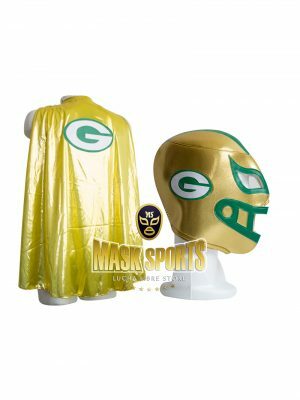 The Green Bay Packers count on their 12th man, and you’ll look the part with a team jersey and this GREEN BAY PACKERS Adult Mask & Cape combo. After all, you are a true football fan! Green Bay Packers Fan Mask. Green Bay Packers Fan Cape. It’s game day in Houston and don’t you dare show up without the right gear! 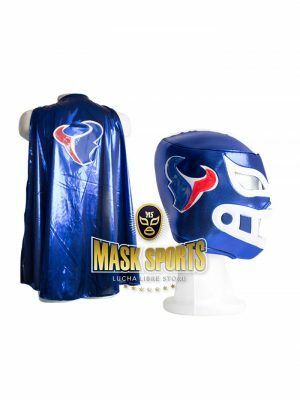 The Houston Texans count on their 12th man, and you’ll look the part with a team jersey and this HOUSTON TEXAS Adult Mask & Cape combo. After all, you are a true football fan! It’s game day in New England and don’t you dare show up without the right gear! 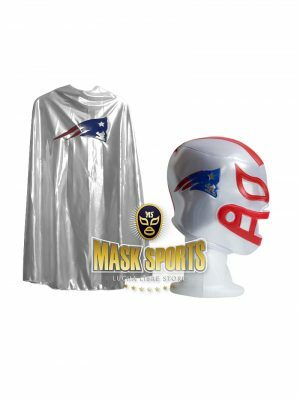 The New England Patriots count on their 12th man, and you’ll look the part with a team jersey and this NEW ENGLAND PATRIOTS Adult Mask & Cape combo. After all, you are a true football fan! 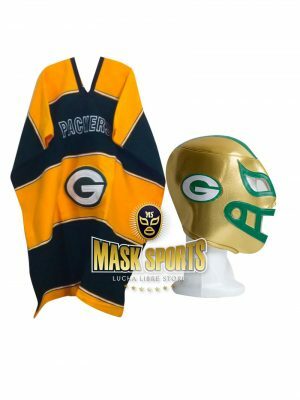 Support your favorite team with the amazing Mask & Cape! NFL New England Patriots Fan Mask. NFL New England Patriots Fan Cape. NEW ENGLAND PATRIOTS Fan Mask.